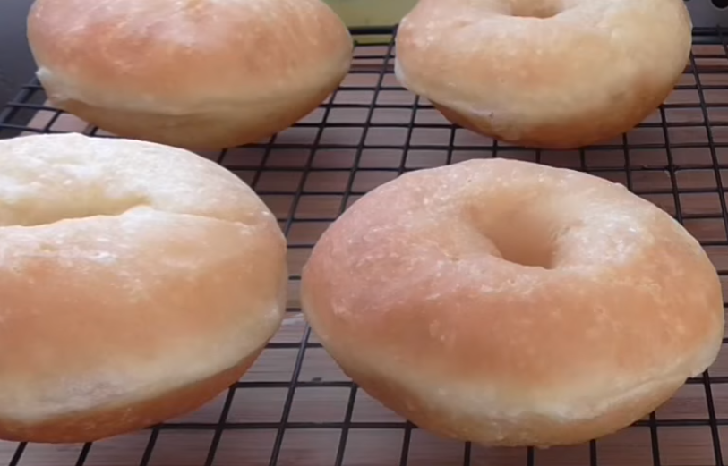 My favorite food to make and my favorite food to eat, although I think I like making them so much because I know at the end of the process comes the eating.😛 Donuts can be a labor of love in that they take some effort to make. But that makes them all the more special. Besides, you wouldn't want donuts to be too easy to make; that could lead to some serious weight gain (at least it probably would for me). Boil the potatoes in boiling water for 40 minutes then check the cooking and, if they are sufficiently soft, remove from heat and peel them, mash them with a potato masher and pour on a pastry board. Add the flour, previously beaten eggs, baking powder and grated lemon peel. Knead long until mixture is smooth then, take a few pieces of dough and stretch them with your hands to form cylinders of about 20 centimeters long. Intersect the ends of the cylinders of dough and fry the donuts in plenty of olive oil. When they are golden on the entire surface, drain well and cover them entirely with sugar. 1 each: 335 calories, 12 g fat (3 g saturated fat), 34 mg cholesterol, 285 mg sodium, 51 g carbohydrate (26 g sugars, 1 g fiber), 5 g protein.